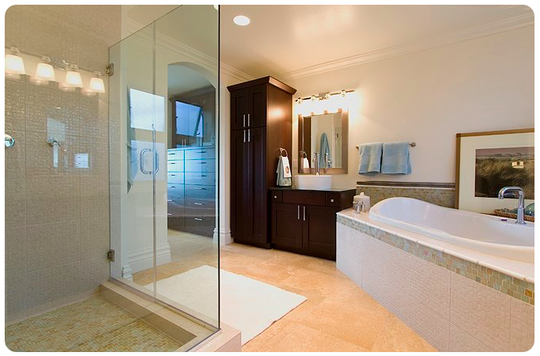 From New Glass Shower Doors to Tile Flooring and Complete Renovations - We Do it All! Serving all of Austin, TX. We are a fully-licensed and insured home contractor service centrally located in the Austin, TX area and serving Lake Travis homes, Round Rock, New Braunfels, Georgetown, Dripping Springs, San Marcos, Kyle, Buda, Elgin, Taylor TX and surrounding suburbs and cities. If you are in the market for any home remodeling in North Austin - including skylights, walk-in showers, or just want to speak with a friendly, licensed home improvement company - call Bud's today for more info and a no-hassle, risk-free consultation. Why hire a professional kitchen or bathroom remodeling contractor? It is immediately apparent that you might hire a professional to do a job that you do not want to do or that is beyond your home remodeling abilities. But if you wish to, virtually all professionals can supply the materials for their particular tasks. Moreover, it's important to note that professionals can buy materials at wholesale prices. Even if they mark up materials, the price maybe less than you would pay in a retail store. You will also find that certain manufacturers distribute their wares only to the professional trade. Often these will be higher priced, unusually higher quality goods. Some points we cover in our contracts include desired changes, insurance and liability coverage, plans and required State of Texas permits, completions dates, materials, and payment plans. This protects both sides and keeps everyone on the same page during a shower or bath remodel. Removing bathtubs: The bathtub is the hardest of all bathroom fixtures to remove. Plan for at least two assistants. The size of your tub and bathroom may require you to remove the washbasin, toilet, or any other elements that obstruct its removal. 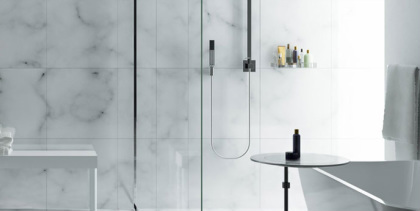 If you have an attached glass shower door at the open side of your tub, you will have to remove that first. If you have a freestanding tub, like an old Victorian clawfoot tub, you can probably see all the plumbing connections. If your tub is set into one or more walls, it probably has a flange buried in each wall, and you will have to chip or cut into the wall all around the tub to remove the flanges from the studs. Tools needed for bathtub removal: magnetic stud finder of 6d nails, utility knife or saber saw, screwdriver, pliers, hammer, cold chisel, pry bar, two 1 by 4 runners (3 to 4 feet long) and a dolly. Removing washbasins and vanities: Bathroom washbasins, known as lavatories, may be wall mounted, set into counters, or free standing. Removal is identical for all types. The task is slightly more difficult than removing a toilet, but is still basically a job for one person with a little assistance if needed. Turn off the water supply, either at the shutoff valves or at the main water valve. If you have a wall-mounted or countert-top basin, place a bucket underneath the trap, which is the curved pipe leading from the basin's drain into the wall. If you have a pedestal basin, keep the buck handy. Tools needed: wrench, screw driver, rubber mallet, masking tape. Bathtub installation tip: If your tub does not come with a blanket or padding or insulation attached to its base, buy a single roll of fiberglass insulation at your home improvement center, and cut a section to fit against the sides of the fixture. The insulation cuts down bathtub noise and also helps the fixture hold heat longer. If there's enough space, you can put insulation under the tub as well. A shelf set on top of an old-fashioned cast iron radiator provides at least enough room for a few towels or a vase of flowers.